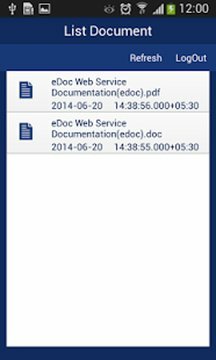 This App allows eDoc users to view their documents on their Windows phone. 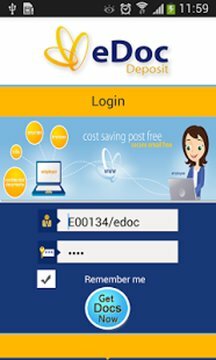 Users simply key in their User Reference and PIN and they will get a list of available documents. Users can navigate through their documents using "Next" & "Previous" buttons. On the login page there is a "Remember me" option, so that users do not need to re-enter their login details. Any document shown on the list can be downloaded by simply clicking on it. To refresh the list click on the refresh button and logout by clicking on the LogOut button.